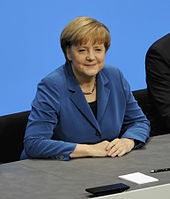 German Chancellor Angela Merkel has said as she arrived at a summit of European Union leaders that shaping the future of the EU should take priority over Brexit negotiations. 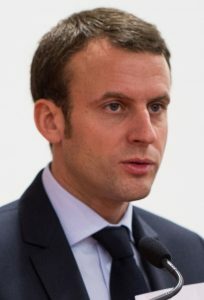 French President Emmanuel Macron says that France and Germany will work together to relaunch the European Union project, amid divisions over how to manage refugees and as Britain prepares to leave. Notice that France and Germany are working together for Europe, Europe is considered by their leaders as more important than Brexit, and that closer European defense cooperation is one of the objectives of this European meeting. I have long written that France would support the goals of the European project and, will also for a time, be supportive of the final Beast of the Sea of Revelation 13:1-10. Like all nations today, France has turned away from God. Catholic by faith, 9 out of 10 Frenchmen have never read their Bible, nor do they believe that, in its entirety, it represents the WORD OF GOD. What then will happen to France? Will she win the next WAR? She is presently a member of the “Common Market” which is already becoming a POLITICAL union. It will eventually include TEN nations or kingdoms. So, unlike some in LCG, Dibar Apartian realized that some of the Israelitish nations would be part of the Beast and will betray the sons of Joseph (Ephraim and Manasseh; see also Anglo – America in Prophecy & the Lost Tribes of Israel). Perhaps it should to be pointed out that several of the “Israelite nations’ are ethnically mixed (per Davidiy Y. The Tribes, 4th edition. Russell-David Publishers, 2011 and other sources) and it may take them some time for the actual Israelites to separate out. Including some of Reuben. Also, as I have repeatedly written, because of US President Donald Trump, we can expect to see more efforts by the Europeans to become a military power. The current summit is further evidence that is coming to pass. This leader is described as a warring man who essentially changes religion and gets people to ultimately worship him. The Bible also shows that he will have a “great army” (Daniel 11:25) and specifically eliminate the nominally Protestant USA (Daniel 11:39) and then the predominantly Muslim nations of the Middle East and North Africa (Daniel 11:40-43). Later, Russia will be a problem for him (cf. Daniel 11:44). French and German leaders do not realize this, but they are taking steps that will help enable the prophesied rise of the European Beast power. This entry was posted on Thursday, June 22nd, 2017 at 2:00 pm	and is filed under Prophecy.